Chinae Alexander is an inspiration to us all. She’s motivating us to be our most authentic self. 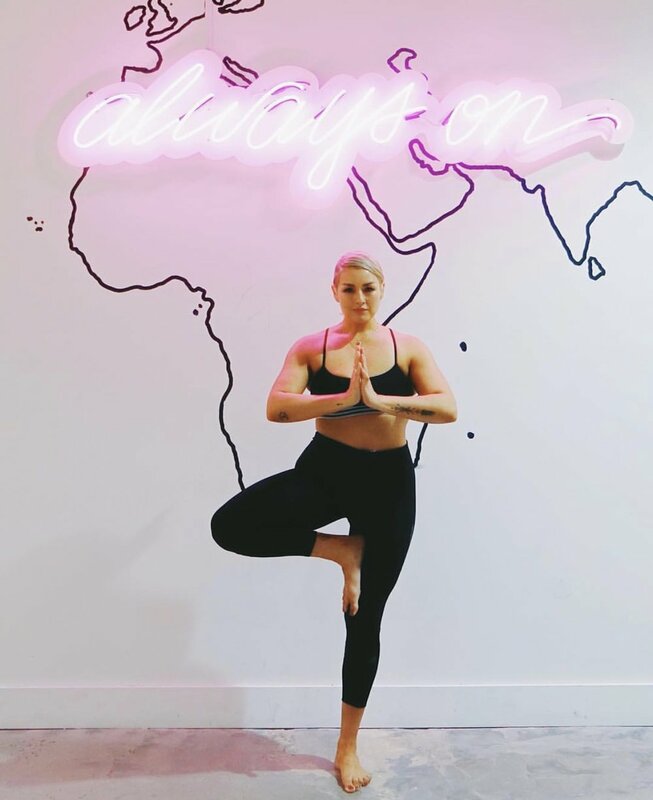 She let’s us know that it’s okay to eat the extra piece of pizza, not to stress over missing a workout, and that you can find balance within a healthy lifestyle. 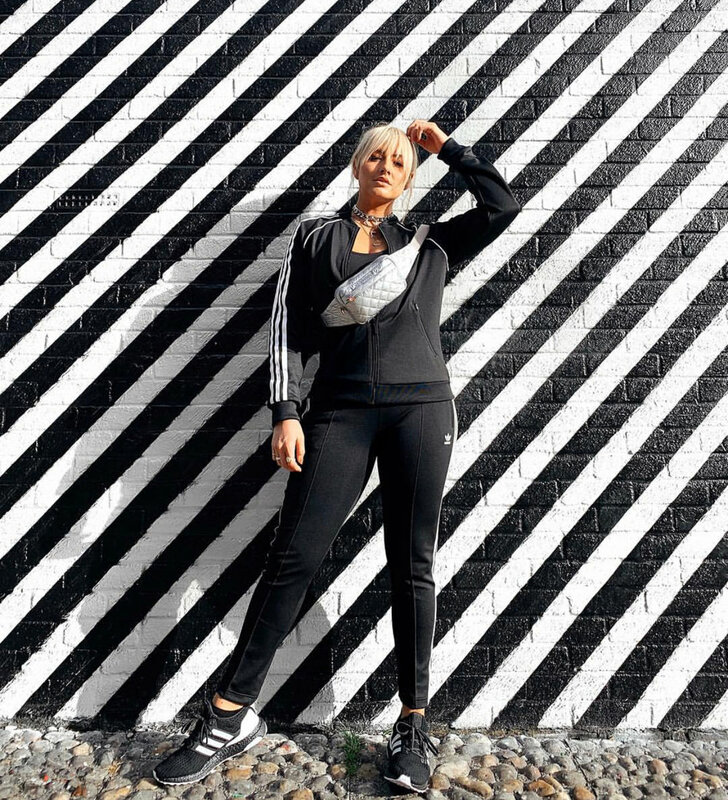 She’s a full-time instagrammer/Entrepreneur/Adidas Ambassador and so much more! She slays at makeup, her content is real, she’s relatable and she says it like it is. You can keep up with Chinae on Instagram stories. She’ll always keep you in the loop whether it’s sharing her morning routine, her new favourite products, or easy makeup tutorials. She’s starting a podcast, and always keeping us on our toes with her latest endeavours. 1. What motivated you to start living a healthier lifestyle? It was a bet with a guy friend! 2. What workout are your currently obsessed with? I always love Soul Cycle but last year I got into hot yoga and I love how it really challenges me to move slower. I like breakfast food at all times of the day but I would probably pick lunch! 4. What's your favorite meal to cook? I cook roasted salmon constantly but I just made my first (and maybe last) pie. It was hard but gratifying! 6. How do you stay motivated to workout! It’s one thing that clears my mind so I know if I don’t do it that it effects everything else I’m doing. 7. 3 Skincare products you can't live without? 8. Would you rather host a brunch or a dinner party? 10. Iced coffee or hot?! Totally depends on the season. I love both equally. 11. Favorite shoe to train in? 12. Any "trends" you're leaving behind in 2018. 13. What face masks should we be buying in 2019? 14. What does wellness mean to you? A multifaceted approach to feeling more comfortable with yourself, gaining energy mentally/physically/emotionally, and defining health on your own terms. 15. Are you the type to make New Years Resolutions? If so can you let us in on one! I am more of a goal-maker than a resolutioner but this year I want to grow my business in unique ways! 16. How do you tackle your to-do list? I do the things I’m dreading the most, first. 17. Best work/life balance advice? Spend time with people that give you energy and life...both in work and play. 18. How did you transition to eat intuitively, and not beat yourself up on indulging. I started caring about more important things. Being overly food/body-focused to me, means that things are in the wrong priority. Not saying people shouldn’t care about it, just that it should be prioritized rightly in the grand scheme of things. 19. Any advice for someone starting their health + wellness journey? Make small attainable goals. Even if it’s as small as “I’m going to make a better lunch choice today”. When you make and achieve small goals, you’re more apt to continue with positive momentum. 20. I heard you're coming out with a podcast, when will we be able to start listening...!? 21. You transitioned your personal brand from a fitness focused Instagram page to a lifestyle brand that focuses on well-being, mental health, self-love and empowering women. "what I realized over growth and time, was that there was so much more to the story I wanted to tell you than progress photos, and gym check-ins...That if our worth is the number of times we worked out, or how clean our meals are...that we will inevitably disappoint ourselves because in the process, our humanity gets lost." Do you have any words of wisdom to the journey of self love, or where someone should start if they think their self worth is based on the number from the scale or feels guilty if they have a cheat meal? I just wrote a post on this but at my thinnest I was the least happy I’ve ever been. Don’t waste your time working toward an empty promise of happiness. Invest in yourself and your worth everyday...create change from a place of positivity not hatred of self. You can find Chinae on instagram at @chinaealexander, you can also find her on YouTube at Chinae Alexander, and her new podcast website Press Send, presssendpodcast.com.